I had just finished an I-Spy quilt for a toddler boy and had lots and lots and LOTS of boy-type novelty I-Spy fabric leftover. 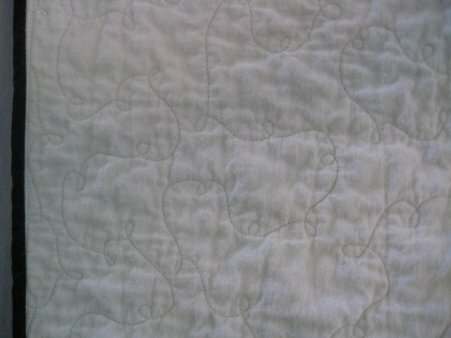 The small size of the toddler quilt was so satisfying; it was practically instant gratification! 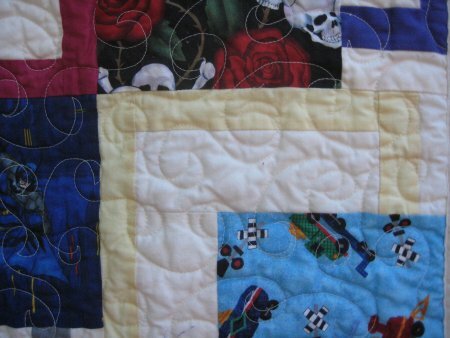 I decided to make two more I-Spy quilts for the two sons of my word processing client, Luke and Riely Penniman. According to my notes, each of these quilts took under 4 hours to piece and probably another hour (maybe a tad more) to quilt. 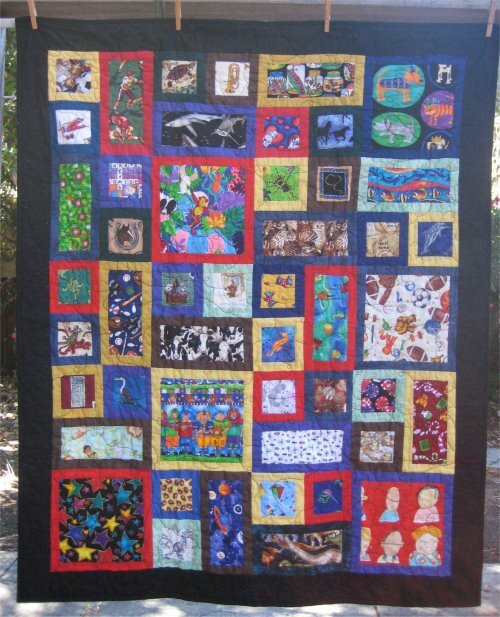 The quilt for Luke uses Maple Island Quilt's BQ pattern. This is an awesome, AWESOME pattern to use for an I-Spy! The focus fabric blocks are large without being huge and are interestingly interspersed with empty frames. 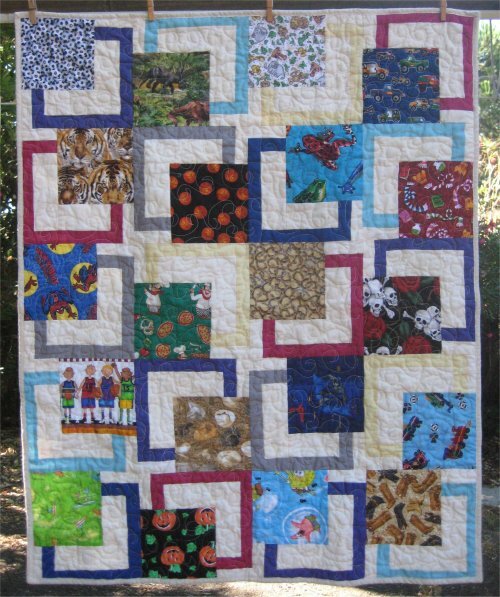 This quilt is 36"x45" and was quilted using the "Flirtacious" pantograph by Irene Steele, available through Willow Leaf Studio. 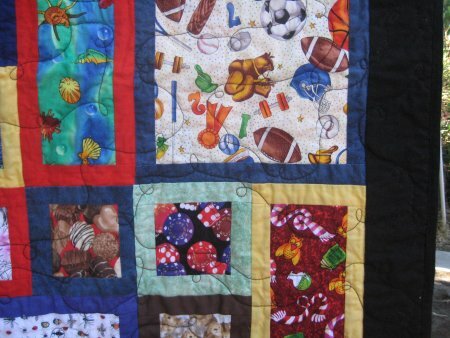 The quilt for Riely uses Terry Atkinson's "All About Me" pattern. This is another fantastic pattern to use for an I-Spy! There are lots opportunities to use your novelty fabrics with rectangles and squares of different sizes and the rectangles are oriented both vertically and horizontally. Each focus fabric is framed, so you can introduce some great contrasting or coordinating colors.